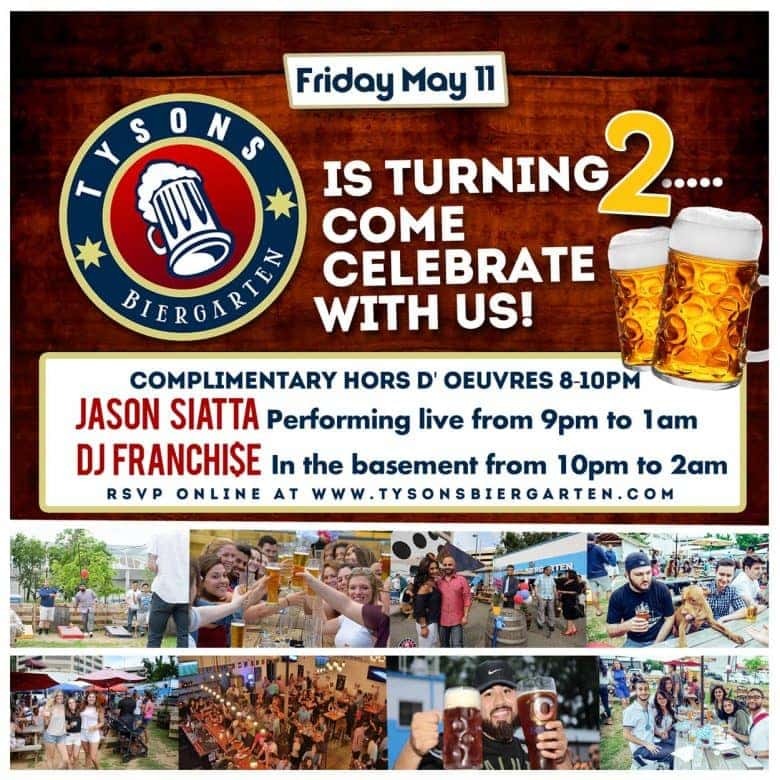 Tysons Biergarten is turning two! Help us celebrate on Friday, May 11th. Complimentary hors d’oeuvres are available from 8-10pm, multi-instrumentalist Jason Saitta will be playing live from 9pm-1am, and DJ Franchi$e will be spinning in the basement from 10pm-2am! This is a party you won’t want to miss. RSVP for free on eventbrite here! 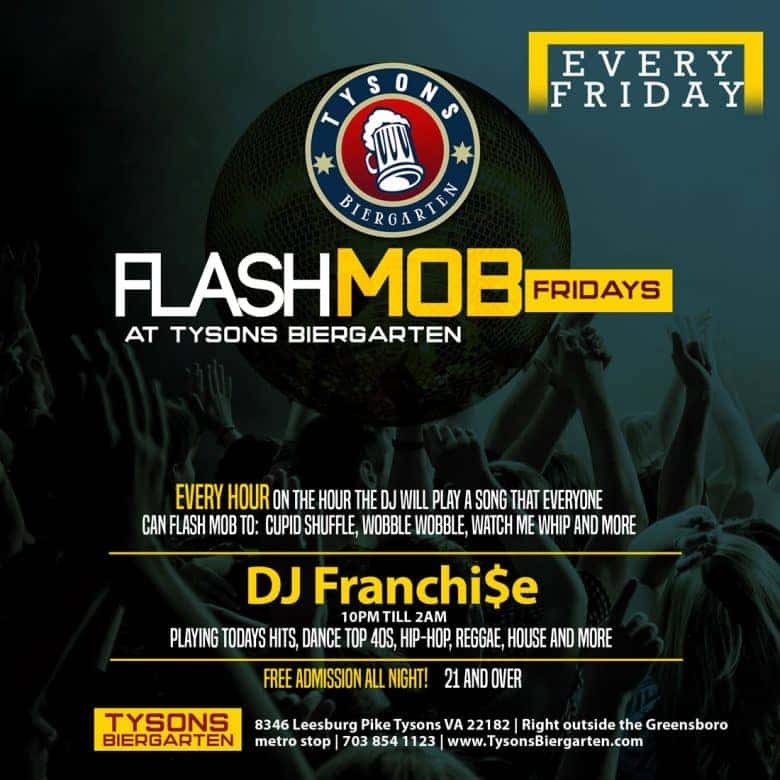 Tysons Biergarten is getting a dance party makeover and you’re all invited. Join us in our American Underground basement bar for another Flash Mob Friday, 10pm on April 27th! This is a weekly recurring event! Every hour on the hour the DJ will play a song that everyone can drop everything and dance to: Cupid Shuffle, Wobble Wobble, Watch Me Whip and more! You will be shamed for not participating, so reach back for those memories of homecoming. The party goes from 10pm-2am, with DJ Franchi$e playing today’s hits, dance top 40s, Hip-hop, Reggae, house, and more! 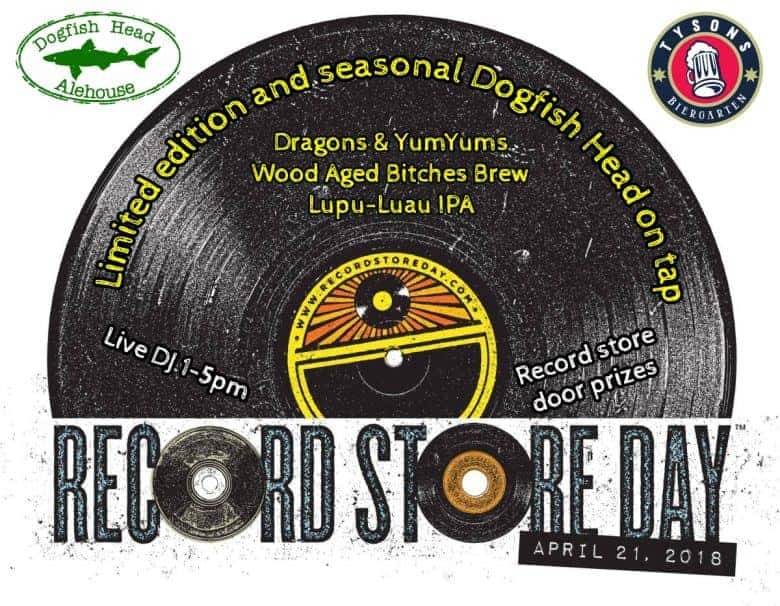 Networking / Delicious food / Great beer + drinks / Live Band Karaoke / and shopping with our unique vendors. 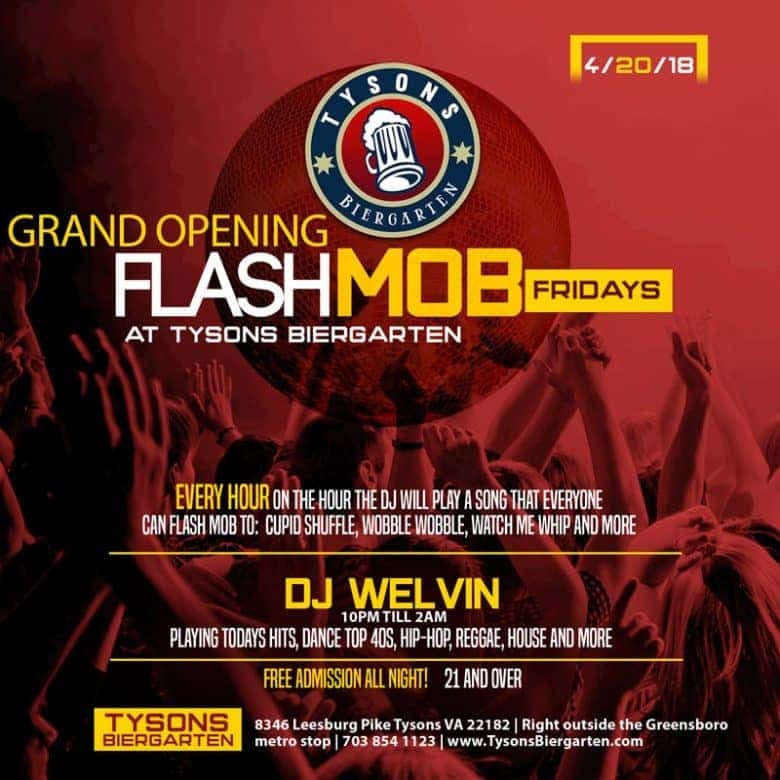 ABOUT VENUE: Tysons Biergarten, featuring German & Belgian beers, is conveniently located off of Route 7 in the heart of Tysons (Right next to Greensboro (Metro) Station Place). 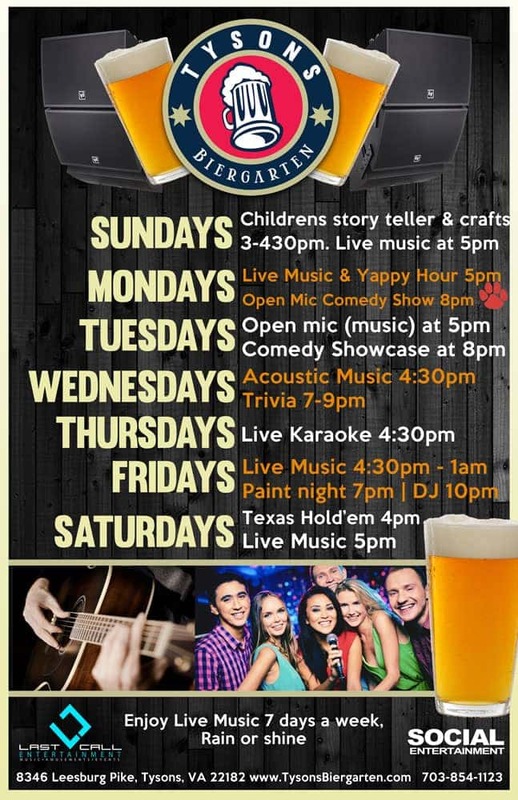 Get here early for Karaoke which starts at 5PM. PARKING IS COMPLIMENTARY. Limited parking on site. Additional parking is available a few steps away (less than 4 minutes walk) at the Metro Staion garage which is free when you validate at Tysons Biegarten. VENDOR OPPORTUNITIES AVAILABLE. Email info@SavvyBusinessNetwork.com or Yes Kirkman at YesKirkman@gmail.com. Event is FREE to attend. RSVP for your complimentary ticket today. Thursday, April 19th at the Biergarten: the Democratic Business Council of NoVA is hosting a legislative reception with elected officials from throughout Northern Virginia, headlined by Congressman Gerry Connolly. The reception will take place in our downstairs bar from 5:30-7:30pm. This will be a general legislative reception with elected officials from throughout Northern Virginia. 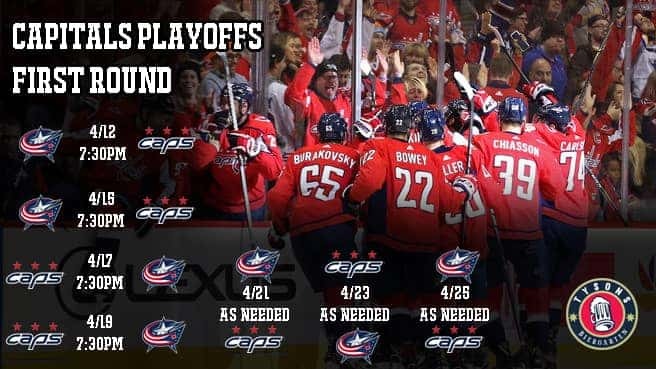 It will include updates from both DC and Richmond, as well as time for a Q&A. Support Habitat NOVA at TBG! 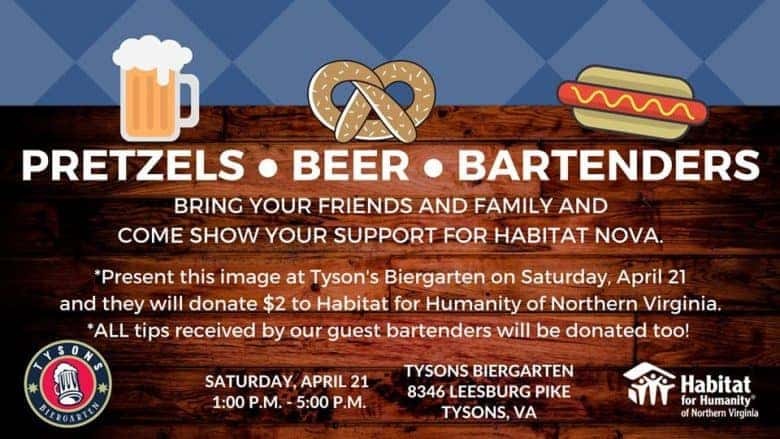 Biergarten, and show your support for Habitat for Humanity of Northern Virginia! Please share – and bring your whole family! 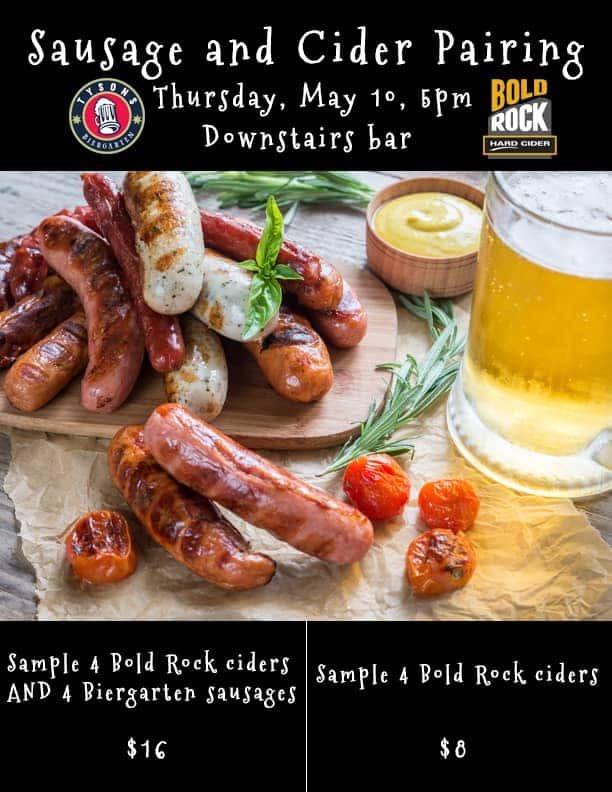 Join Tysons Biergarten and Bold Rock Cidery in our American Underground downstairs bar for a sausage and cider pairing event on Thursday, May 10th! We’ll have Bold Rock’s Rose Cider, Virginia Apple, Pear, and IPA (India Pressed Apple), each paired with half of a Biergarten sausage. A Bold Rock representative will be here to walk you through a tasting. Tickets are available online or at the door. $16 for a full tasting with four ciders and four half-sausages, $8 for the ciders alone. If you can’t make it right at 5pm, don’t fret! We’ll be going through the tasting several times as people show up. Come hungry and come thirsty! You can RSVP on Facebook here. We have a limited amount of parking spaces, so if our lot is full we ask that you park in our garage which is free with validation from us and is only a 4 minute walk.